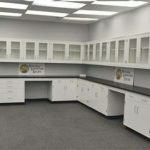 Looking a different size cabinet group? 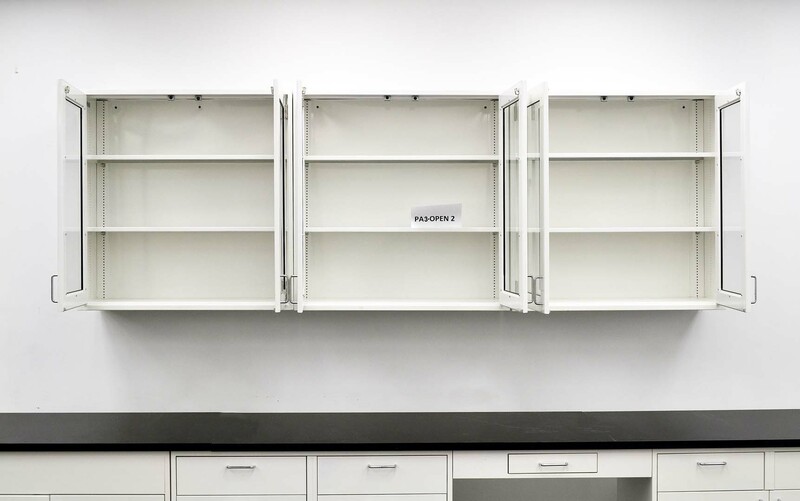 We have thousands of feet of lab cabinets in stock. 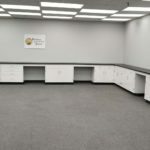 We can cut counter tops to any length. Send us a drawing and we will quote. 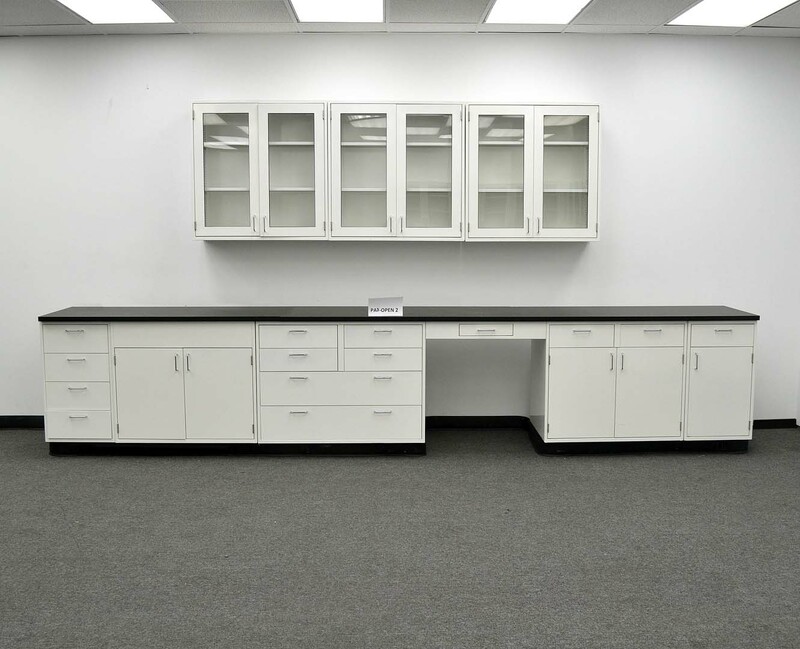 We are pleased to offer this collection of new Cabinets that include new industrial grade counter tops. 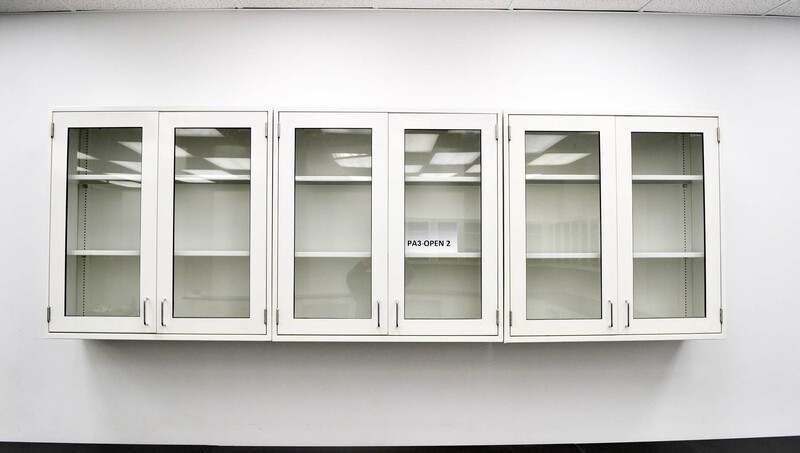 These cabinets perfect for any laboratory application. 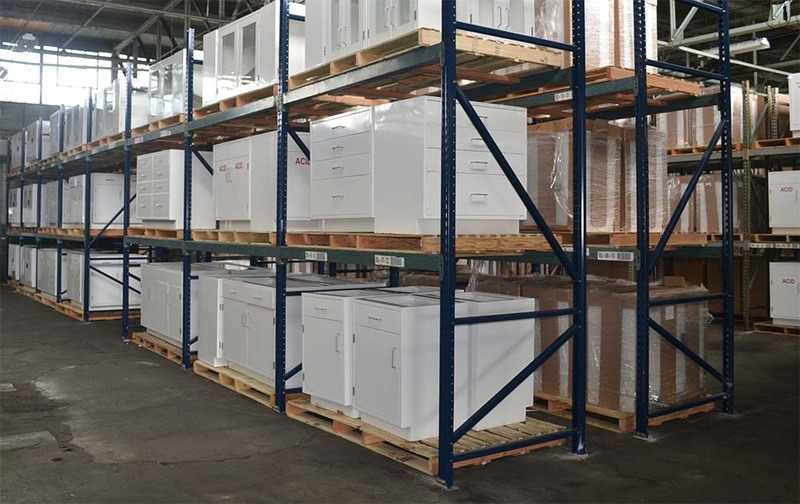 We also have additional base and wall cabinets available if you need a larger grouping. Dimensions Below Are for Cabinet Widths. 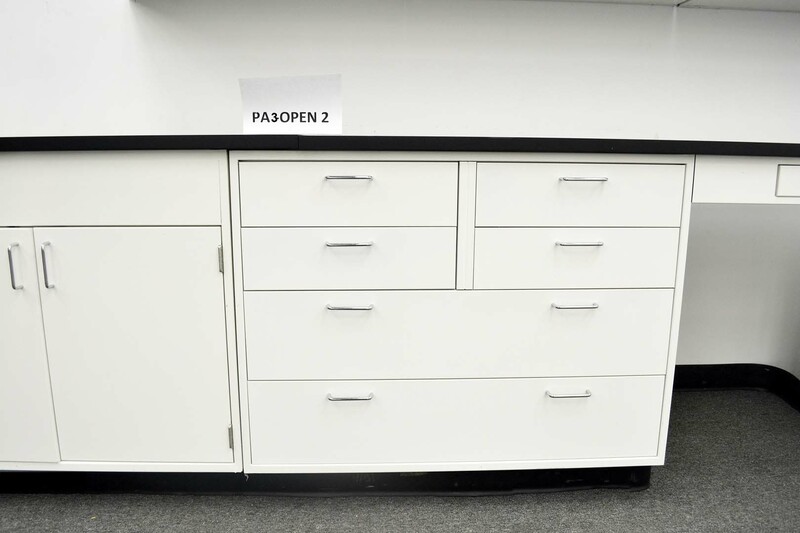 35″ Tall x 22″ Deep. 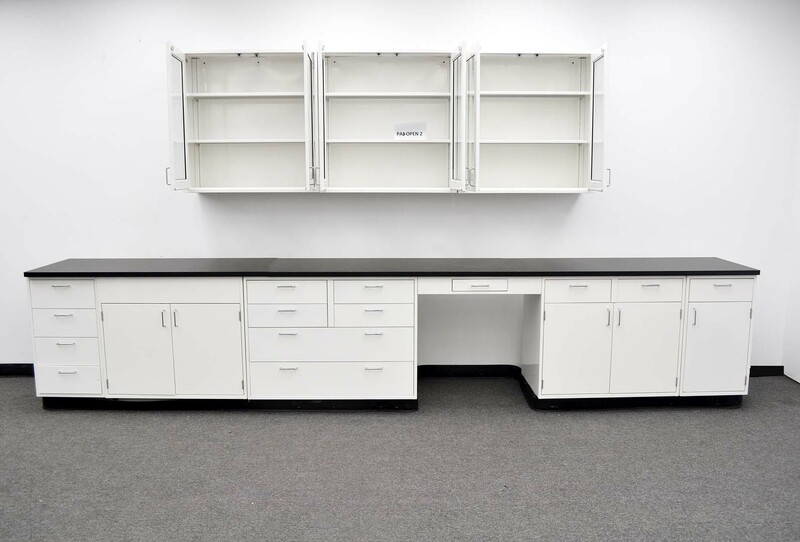 We have thousands of feet of lab cabinets in stock. 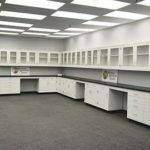 We can cut counter tops to any length.